Gujarat is among top five most visited states in India. 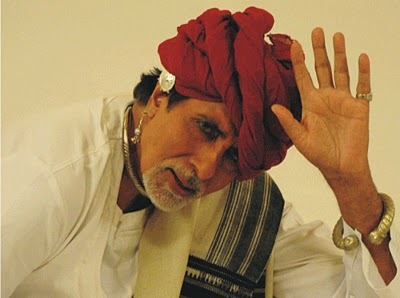 Bollywood superstar Amitabh Bachchan has started shooting for the next round of `Khushboo Gujarat Ki‘ (KGK) advertising campaign for the promotion of the state as a tourist destination. He had earlier shot for short Ad films on Kutch, Gir Lion Sanctuary and Shri Somnath as apart of camapign for Gujarat tourism. The regions of Kutch, Jamnagar, Dwarka, Somnath and Surat are being promoted as coastal getaways. According to the Tourism Policy 2003-2010, Gujarat will select nine different beach destinations to develop the coastal tourism opportunities. A proposal to develop cruise and ferry services with adequate accommodation and infrastructure facilities was also mentioned in the policy. Gujarat Tourism has implemented an interesting “Roots” tourism itinerary for NRI Gujaratis on visits to India. They have linked major cities of the state with the places of interest in Gujarat and neighbouring states. In the biennial Vibrant Gujarat Summit 2011 edition, it is mentioned that there are 42 ports in the making on the 1,600 kms coast line of the state. GIDB is also progressing on its plans for development at various beaches via the PPP model while the Gujarat Maritime Board is taking up various beach development projects worth Rs two billion. Earlier at the Vibrant Gujarat 2009, a total number of 97 MoUs were signed for tourism which were worth Rs 41,439 crore scheduled to employ 1,28,587 people. 50 MoUs attracting investments valuing Rs 85,720 crore for ports and port-based investments were signed.